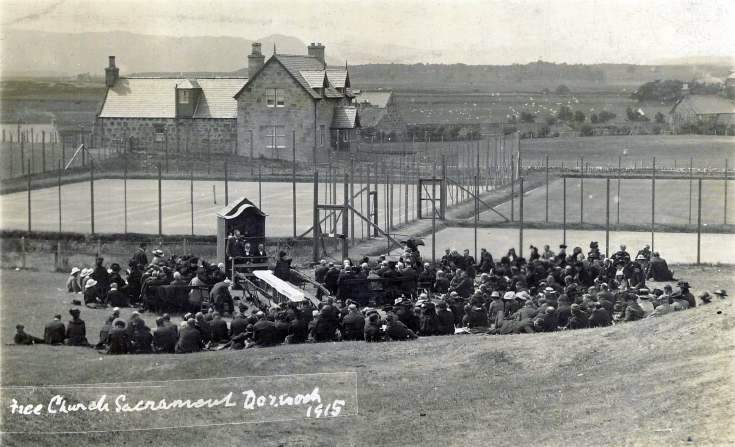 Black & white photograph of the Free Church sacrament being administered in the open air by the tennis courts in Dornoch, 1915. Good view of ark and communion table. Sent from Dornoch in 1915 by G.R.K., Links House, Dornoch, to Rev T. Mackay, Pendleton, Manchester.